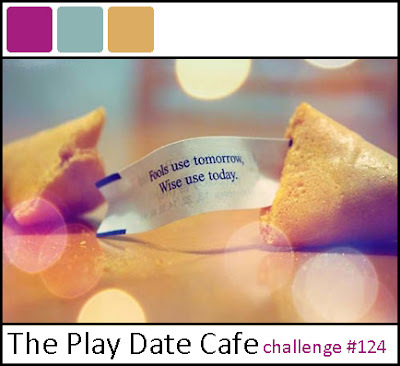 I made this card for the current Play Date Cafe Color Challenge - to use Harbor, Raspberry and Honey Mustard. The stamp is from Imaginisce and it's called Lucy Bird. I colored her in with Copics and added some rhinestones. The sentiment is from Lawn Fawn Sophie's Sentiments. Thanks for taking a look! Such a cute card! 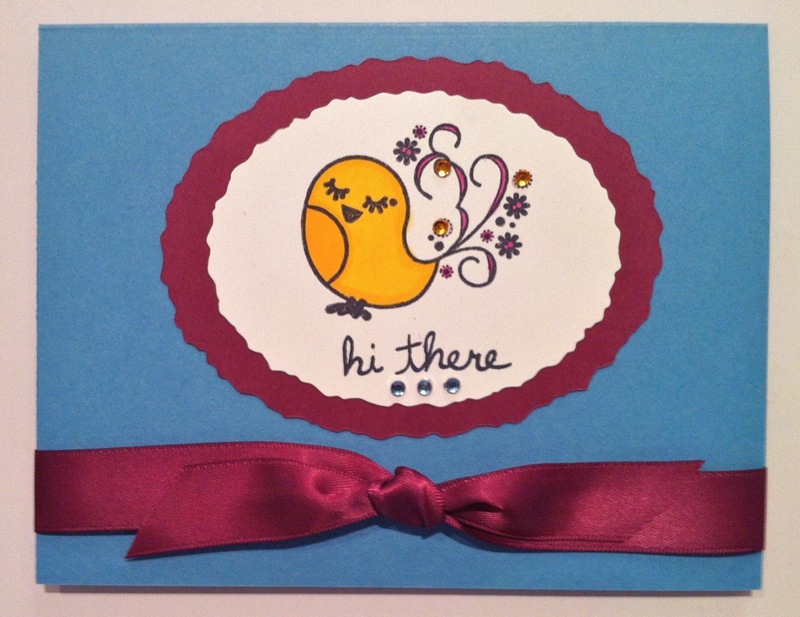 I love that plush purple ribbon and the little birdie is adorable, especially how you've added the little pearls! Thanks for popping by my blog for the Color Me Creative Birthday Bash, I hope you enjoyed the hop! Gorgeous card Donna! Your colouring is perfect! A HUGE congrats to you for being the Moxie Fabber this week! I am truly thrilled for you. Cath is right when she said how sweet you are. You really are! I'm so happy for ya! So, super, stinkin' cute, Donna! Thanks so much for playing along with us this week at The Play Date Cafe!